I dreamt that a liquid was leaking out from under the Celica in my garage... Not just any liquid. 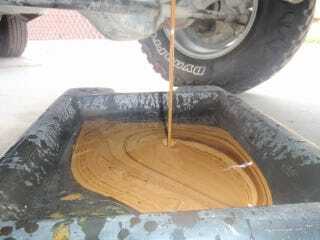 The dreaded chocolate milkshake from a blown headgasket. It took me most of a decade to stop having the college related dreams (failing a test, missing a class, or being underdressed for some reason). Now I’m going to be haunted by car stuff? Come on now.